To understand how teeth whitening works, first you need to understand how your teeth became stained. Tooth enamel contains millions of microscopic pores and through natural expansion and contraction the pores becomes embedded with unprocessed compounds from food, drink and tobacco causing tooth discolouration and staining. No amount of brushing your teeth will remove these stains as they are embedded within the enamel layer. 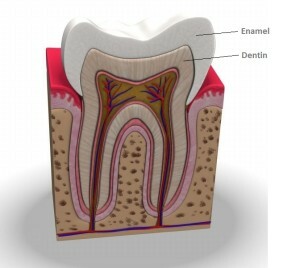 Think of your enamel layer as a glass window that is encased around the white bone of your tooth called ‘Dentin’. When the enamel layer or glass is stained it veils the natural white colour of your Dentin and your teeth appear yellow or darker than they naturally are. Enamel is the window through which we see the underlying layer white Dentin. Dentin is the actual ‘tooth-bone’ that gives your teeth their natural white colour. Teeth Whitening happens when a special oxygen-action whitening gel is applied to the front of the teeth; combined with the aid of the Polus® Advanced Teeth Whitening Accelerator Light the gel migrates throughout the minuscule pores of the enamel, oxidising stains and leaving behind only the natural colour of the white Dentin. Is teeth whitening safe and can it damage tooth enamel? The Beyond Polus Advanced teeth whitening system is the most developed, safest and gentle system available on the market today. Prior to your treatment a full examination and consultation will be carried out to check it is safe to perform the procedure. 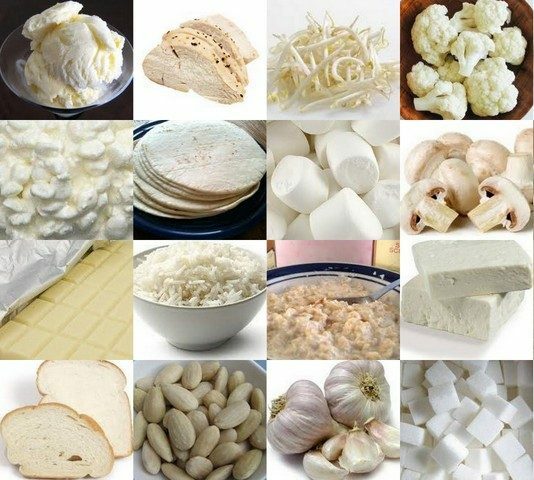 If you do suffer from tooth and gum sensitivity or you are allergic to peroxide (the whitening ingredient), then sensitivity is more likely to occur. For these people we recommend you stay away from extremely hot and cold drinks or desserts for 24 hours ‘pre and post’ treatment and use of Sensodyne toothpaste for 1 week before and after your teeth whitening treatment. As for the damage to tooth enamel it’s considered as the hardest part of the human body and research has shown that bleaching your teeth with low concentrations of peroxide, from a reputable source by a trained Teeth Whitening Practitioner is safe and will not harm the enamel of the teeth. In a recent study it was found that drinking a glass of orange juice is more detrimental to tooth enamel than a teeth whitening treatment. BEWARE of companies offering a Single 30-minute Cycle. It may save THEM time and expense on whitening gels, however, because the gel is most effective in the first 15 to 20 minutes the remainder of treatment time is ineffective and your teeth WILL NOT be as white as they could have been. Another one to look out for are companies offering deals with for Two 20-minute Cycles who give no indication as to what level of discolouration this treatment is best suited. This is great treatment if you’re only wanting a ‘refresh or light whitening option’ but again you won’t get results if you’re a first timer to teeth whitening with average staining. Here at iSmile Teeth Whitening Clinic we are transparent with our pricing and describe in full the treatment options including the ‘number of cycle’s and ‘amount of time’ you will spend under the light accelerator in the ACTIVE WHITENING PROCESS. Our system is scientifically proven to whiten better than EVERY other whitening system available on the market today including LASER and LED. Up to one year is possible but depends greatly on your lifestyle, diet and habits. However, for most in-clinic teeth whitening treatments last between 6 – 9 months. If you drink a lot of coffee, tea, dark soda, red wine or smoke cigarettes, the results will obviously not last as long and you may have to repeat the process more often. We recommend the use of an iSmile home teeth whitening pen to prolong the results of your treatment and to maintain your white smile. Who may benefit from the iSmile™ teeth whitening process? Tea and coffee drinkers, tobacco users, and those with stains acquired by dietary habits. These stains appear more yellow sometimes yellow/brown and occur on the outermost surface of the tooth, they are easiest to lighten and remove. Those with intrinsic stains (stains that appear greyish, grey-brown or grey-blue) and require more applications. because that the gel must pass through the pores of the enamel and into the dentin. What kind of results can I expect from having my teeth whitened? Everyone’s teeth are different; we all have different body chemistry, dental health, lifestyles, and genetics. After undergoing whitening with iSmile™ most clients teeth can be whitened between 4 – 9 shades lighter. Most extrinsic stains (staining on the exterior of the tooth) caused by food, drink, cigarettes can be removed by the Beyond Polus system bringing your teeth back to their natural white state. Those with intrinsic stains (staining on the interior of the tooth) that rest below the surface of the enamel caused by medications or tooth decay may appear greyish, grey-brown or grey-blue may require two separate sessions (2 days apart) and maintenance treatments every 3-6 months to get the best results. Who would NOT be considered a candidate for teeth whitening? Women who are pregnant or breastfeeding (no research has been conducted on the use of teeth whitening while pregnant or nursing and is therefore not advised). Anyone allergic to peroxide (the whitening agent). People with gum disease, periodontal disease, oral cancer, worn enamel, cavities, and exposed tooth roots. Individuals with chronic tooth and gum sensitivity, receding gums and/or defective restorations. If still unsure we recommend you consult with your dentist prior to using any tooth whitening system. Everyone’s teeth are different; we all have different body chemistry, dental health, lifestyles, and genetics. After undergoing whitening with iSmile™ most clients teeth can be brighten between 4 – 9 shades lighter. 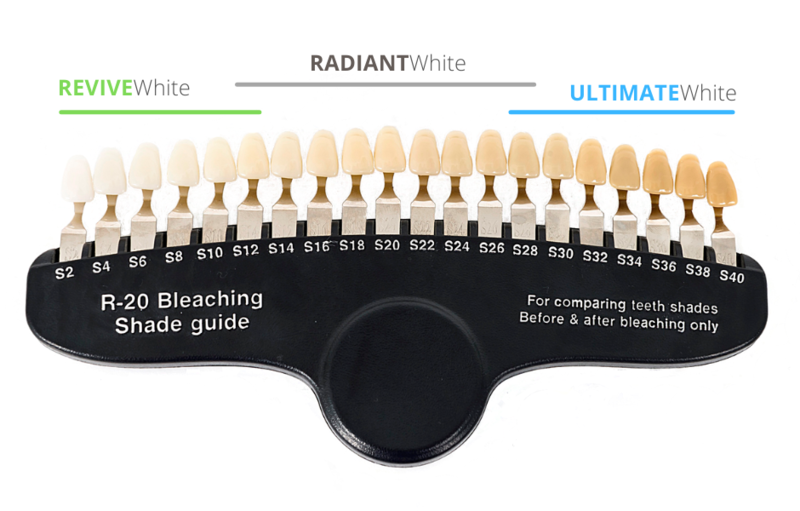 Comparing your current teeth shade to the diagram above should help you determine which treatment is right for you. Most extrinsic stains (average to heavy staining of the enamel exterior of the tooth) most commonly caused by food, drink and cigarettes can be removed with a THREE OR FOUR CYCLE treatment using the Beyond Polus system bringing your teeth back to their natural white state. Those with intrinsic stains (stains that rest below the surface of the enamel in the tooth bone or dentin) commonly caused by medications, dental problems and trauma may appear greyish, grey-brown or grey-blue will require a six cycle treatment over a two day period and maintenance treatments every 3-6 months to get the best results. 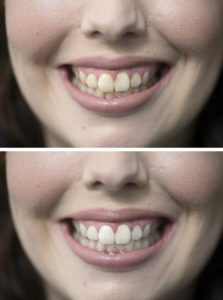 Will teeth whitening make my crowns, caps, bridges and veneers whiter? Teeth whitening works on your natural teeth and it won’t damage or affect your crowns, bridges, veneers or any other dental work. If anything we have found with our whitening treatment that surface stains on some artificial teeth may be improved or at least taken back to their original colour when first fitted. You will still need to consider there might be a difference between their colour and improved colour of your natural now whiter teeth. If you have had a lot of work on your mouth but you still wish to brighten your smile, then you probably need to seek advice from a dentist. They can update the crowns, bridges and veneers to match the whiter colour of your natural teeth if you so desire. Will teeth whitening work if I have mercury or amalgamated fillings? Imagine the enamel is a glass like window that we look through to see the natural underlying white colour of our tooth ‘Dentin’, which is the tooth bone. Whenever the enamel or ‘window’ is stained it veils the natural white colour of your teeth and your teeth appear yellow or darker than they naturally are. In the case of large mercury fillings deep into the cavity of the tooth, the enamel surface will be whitened but the grey colour of the mercury will most likely show through rather than the natural white colour of the dentin. But In saying this the overall appearance of the tooth is generally whitened and improved regardless of the cavity being filled with mercury. Also something to take into consideration:- often large mercury fillings are in the back teeth and won’t necessarily be seen as most people when they smile only show the first 8 to 10 teeth in the smile line. The whitening gel is applied to the face of the tooth and not in the cavity of the tooth and won’t damage or effect your filling. One of the most common teeth problems that people want to have treated is tooth discoloration. There are a number of things people don’t think about with regard to tooth discoloration, and we’d like to take a few moments to look at the different kinds of discoloration that may occur. Both extrinsic and intrinsic stains have different causes, and the kind of stain that a person suffers from will determine the most ideal whitening treatment option for their needs. Tobacco products can lead to major extrinsic stains, causing the teeth to look brown or yellow. There are already plenty of compelling health reasons to avoid cigarettes, cigars, and chewing tobacco, and these aesthetic issues are also worth considering. In essence, if it can stain a white shirt badly, it can lead to gradual dental stains over time. Fluoride can cause intrinsic and extrinsic dental stains, though not in the way that you’d think. Rather than yellow or brown stains, overexposure to fluoride can lead to chalky and over-white patches on the teeth. Dental problems can cause stains to occur, some extrinsic (such as those causes by cavities and tooth decay) and some intrinsic (such as those caused by root canal infections). Over time, wear, tear, and combinations of the various factors above can lead to tooth discoloration and gradual stains appearing on the smile. This is normal, though it can be minimized or even treated. For most extrinsic stains and discoloration, professional teeth whitening treatment can work wonders and brighten the teeth between 4-9 shades brighter. Intrinsic stains, stains on the interior of the tooth surface can be harder to remove and would require an examination by an iSmile™ Teeth Whitening Practitioner who can assess your teeth and the type of staining. As you can see there is more to the removal of tooth stains than you may have guessed which is why it’s important to meet with your Teeth Whitening Practitioner about your options for advanced Teeth Whitening. What happens at my teeth whitening treatment? In only 1.5 to 2 hours, discolouration that has built up over the years can magically disappear. It takes no longer than the time it would be for you to have a haircut or a facial – it’s that simple! Our job is not only to produce your whitest natural smile, but also to ensure you feel informed, safe and comfortable. We care for you on an “informed consent” basis, which means your Teeth Whitening procedure will be fully explained at the beginning, plus we will be happy to answer any questions you may have. You will be welcome by our practitioner and seated to complete paperwork. Taken down to the treatment room for your 15 minute consultation which includes a visual check of your teeth and gums and answer any questions you may have. At the end of the procedure you rinse out your mouth and we compare your newly whitened teeth with the starting shade. Aftercare instructions are given and you are on your way with your new white smile. White grape juice and of course Champagne! What if I suffer from Tooth Sensitivity? Please inquire for more information and pricing. Why should I choose a Professional Teeth Whitening Clinic -vs- home DIY Kits and products? Over-the-counter products and kits bought off the Internet promise a dazzling white smile, they will not be nearly as efficient or safe as the products used by a professional teeth whitening clinic. You are more likely to end up with little or no results, unevenly bleached teeth, or your tooth enamel looking dried out and chalky. In addition, you are likely to need to use these types of products over and over again to try and get the desired results, which can be time-consuming, expensive and have the potential to end up damaging your teeth. With iSmile™ you will get superior results in just one visit to our clinic having your treatment performed by a highly trained teeth whitening Practitioner who is a registered member of the New Zealand Cosmetic Teeth Whitening Association. 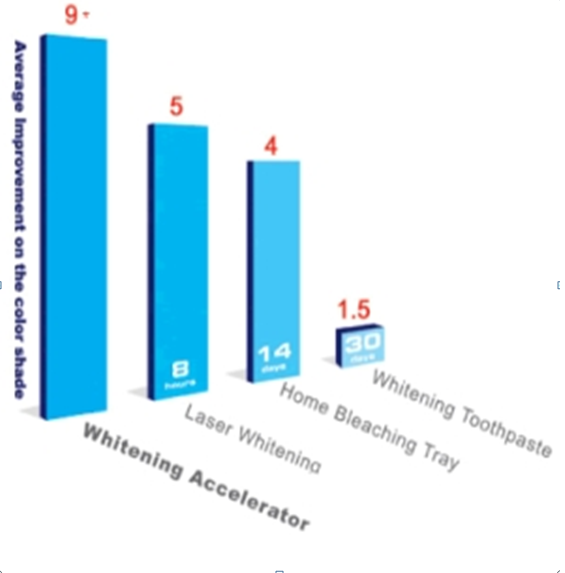 Various claims are made by the manufacture of whitening tooth pastes, in truth it could take up to 18-months or longer to whiten your teeth only one shade lighter through daily use of a toothpaste-whitening product as compared to using a professionally applied whitening gel that will generally whiten teeth between 4-9 shades brighter over a 1.5 hour procedure period. The reason for this is toothpaste is diluted by saliva and is only in your mouth for a few minutes or less. Moreover, because the outside of your teeth, the enamel, is clear. Whitening toothpastes simply remove surface stains on the enamel with mild abrasives or special chemical or polishing agents rather than bleaching through to the dentin. How do I tell someone they need to whiten their teeth? Do people with white teeth actually look younger? Well, according to a recent study, yes they do! You can look five years younger and 20% more attractive with a whiter smile. Now who doesn’t want those kind of results? Having white teeth makes you look more successful and can increase your employment potential over those with yellow teeth, a white smile is now a real investment on many levels. On a date, bad breath and yellow teeth are top turn-offs, beating spots and bad hair, and men are more worried about having bad teeth than going bald. At the end of the day first impressions are lasting impressions. Your smile is one of the first things people notice about you and whitening your teeth gives plenty of bang for your buck. If your clever remarks to encourage your friend to improve their smile is not working as well as you’d planned… don’t give up! You can always buy them a Teeth Whitening Gift Voucher, it would be rude for them not to accept it, right. Selling add-on services and products to clients is good business, however, recently up-selling has become a new cunning marketing technique that reeks of an entrapment scam, such as featured on some “Grab me now or Don’t miss out” type websites). It is deliberately advertising an unprofitable low cost Teeth Whitening Treatment (such as a Single 30-minute Teeth Whitening Treatment Cycle. Then once the client is in the chair, attempts are made to ‘up sell’ to a more expensive service. For example, you may see teeth whitening advertised for say $89, then once in the chair you get told that the treatment you bought is not suitable, instead you need to upgrade to a more expensive $199 treatment to get your teeth to their whitest. I thought Teeth Whitening had to be carried out by a Dentist? With new technology and advanced whitening gels teeth whitening has become a safe and simple cosmetic procedure rather than the complicated dental treatment of the past. In fact, tooth whitening is not a dental procedure at all- it is Cosmetic for the beautification of teeth rather than a health treatment.Being a dedicated teeth whitening clinic an iSmile™ Practitioner can care for more clients in one month than some dentists would treat in a year. Beyond Polus is a world renowned manufacture and supplier of professional teeth whitening systems that are used by thousands of private dental and cosmetic practices worldwide, so the biggest difference you will notice between visiting a private dentist and choosing your treatment through iSmile™ will be the price. We can offer the same service up to two thirds cheaper than what you would have to pay for the equivalent service through a private dentist. Did you know, an iSmile™ Teeth Whitening Practitioner undergo the same professional teeth whitening application training that dentists who use this system are provided with in New Zealand. THE DENTAL ADVISOR awards are considered the most prestigious and respected awards in the Dental Industry. Dental Advisor awards where created to recognise the best quality products and equipment, taking into account clinical and evidence-based research to honor the finest. Here at iSmile Teeth Whitening we our proud owners of the ‘Beyond POLUS® ADVANCED system independently Voted by Dental Advisor to be the World’s Best 8-years in a row. The new 2017 POLUS® ADVANCED features revolutionary new ULTRASOUND whitening technology for faster, whiter teeth than ever before! 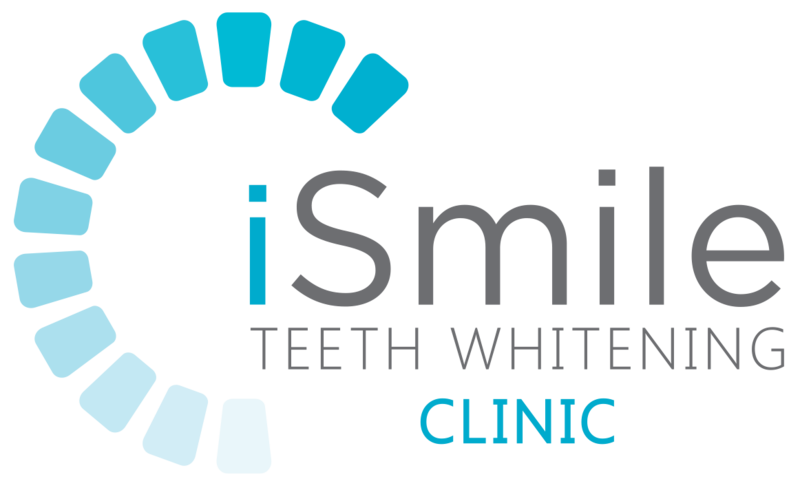 iSmile™ is the first clinic in the Southern Hemisphere to receive the Advanced Teeth Whitening technology manufactured in the USA. This cutting-edge system uses a combination of a powerful Halogen beam of blue light, and Ultrasonic whitening technologies to deliver a personally tailored treatment providing up to 4-9 shades of improvement. As well as these amazing benefits the advanced technique uses a filtration system that eliminates exposure to harmful UV light and heat, thereby reducing sensitivity. Ultrasound, also called sonography, uses high frequency sound waves inaudible to the ear to develop a gentle ultrasound vibration to help loosen staining for faster whiter results than ever before. 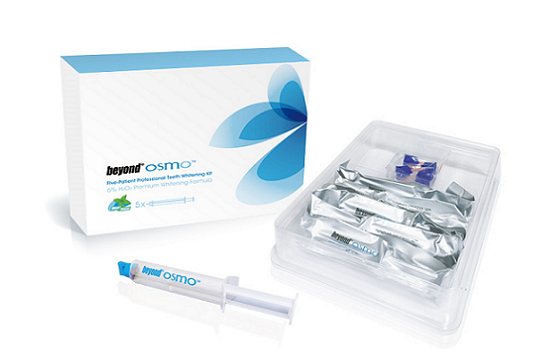 Beyond Advanced, is the only Teeth Whitening Accelerator light available with a 0% UV light filtration system. Light efficiency from the BEYOND™ Whitening Accelerator is filtered through over 12,000 optical fibres and 30 layers of coated optical glass before accelerating the whitening process. The BEYOND system delivers the most intense, tailored beam of blue light of any cosmetic teeth whitening system on the market without the risk of UV exposure and the hypersensitivity associated with other whitening systems. The new POLUS ADVANCED system now has Ionisation filtering for cleaner, healthier clinic air.